Every October, I purchase my planner for the coming calendar year. This week, for the fifth or sixth year in a row, I ordered the Orange Circle Studio 17-Month Do It All Planner. I found it on Amazon years ago, and it fits all my parameters for a book that truly keeps me organized. There are additional features that I don't use, like stickers and pages to list birthdays and important dates, but here's what I appreciate about it. - It contains monthly overviews. 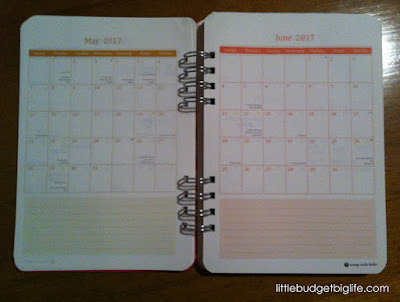 I use these for quick glances at how the month falls and to lay out long-term goals that require multiple steps. 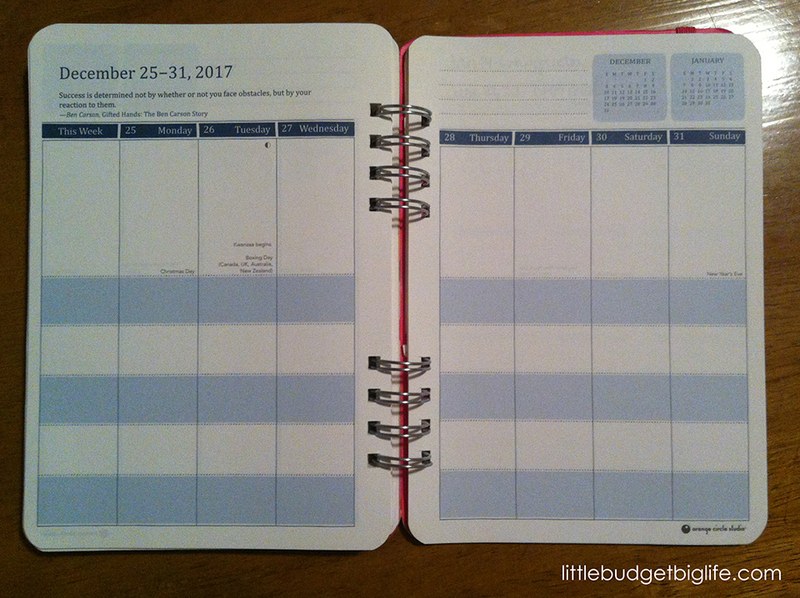 Bonus: this is a 17 month planner, so it includes August 2017 through December 2018, and you can use it following the school year or the calendar year or use all 17 months, whichever suits you best. - Weekly views are the bulk of the book. 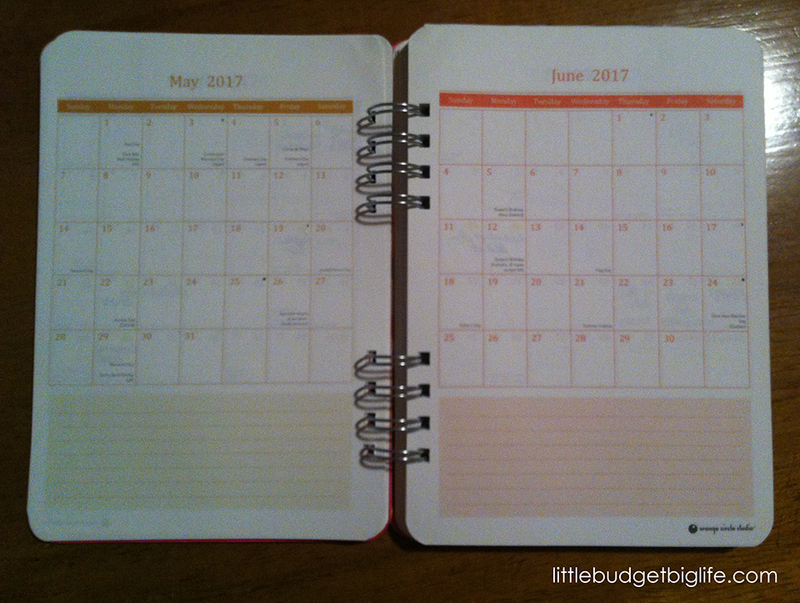 There are 6 separate rows you can use to organize the schedules of different people or different areas of your life. I reevaluate what those rows will represent every four to six months, as priorities and responsibilities change. These could be assigned to individuals in your household, budgeting, meal planning, chores, work, hobbies, travel details, goals; you name it! Right now, I use the big one for my general obligations, appointments, and household responsibilities including dinner plans; one for Pip's activities; one for Chris's schedule; one for volunteer responsibilities; one for our comics business; and one for the blog. I much prefer breaking down the days by person or area to breaking them down by time. Planners that have every 30 minutes documented may be great for some, but they stress me out. Because you may be wondering, I'll note right here that I keep our homeschool records in a completely different place. It has evolved somewhat for second grade, but you can see my method for first grade here. - It's small enough to tuck into any bag I'm carrying. And it's a good thing, too, because without it, I feel rather lost. I ordered my 2018 planner from Amazon for less than $11. There are different fun covers and the prices vary slightly, but I don't recall ever seeing any version of this planner listed for more than $18. Do you use a paper planner, or do you keep up with appointments and obligations digitally? 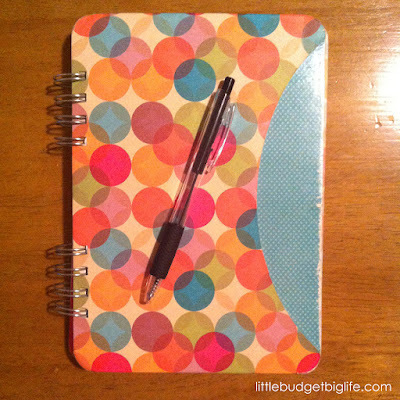 What is your favorite way to stay organized?